I figure some of y'all might be in the area an would find it interesting to check out! We'll have a few folks there as well. Edited 1 time(s). Last edit at 02/19/2019 03:53PM by Brian Owen, ShopBot. Just a reminder that Wayne's event is coming up quickly! In addition to Tim, I'll be there along witl ShopBot's founder Ted Hall who'll be talking about 5-axis tools. 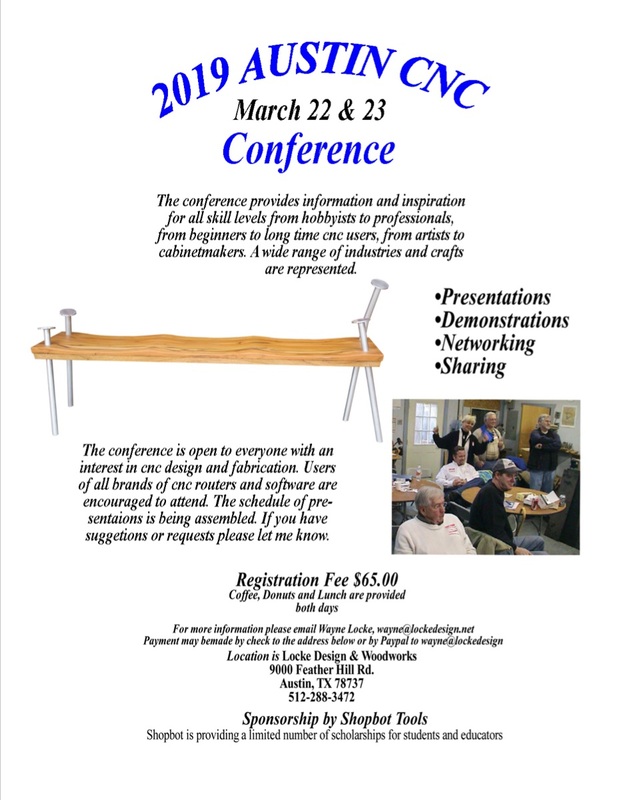 If you're a Texas Handibotter or just interested in CNC in general I guarantee you'll have a good time and learn a lot. And don't worry...Wayne welcomes both Aggies and Longhorns!